Administrative Law Judge (ALJ) Peter Paul Castillo, Office of Administrative Hearings (OAH), Special Education Division, State of California, heard this matter in Costa Mesa, California, on June 11-13 and 18-19, 2007. Paul J. Majors, Attorney at Law, represented Student. Student was not present during the hearing. Student’s Mother was present during the entire hearing, except for the afternoon of June 13, 2007. A Japanese translator was present for Mother on June 11-12 and 18-19, 2007, and a Mandarin translator on June 13, 2007.1 Father was present on June 11-13 and 18, 2007. Cynthia A. Yount, Attorney at Law, represented the Newport-Mesa Unified School District (District). Also present was Mary Shields, District’s Special Education Program Coordinator. Diana Casato, District’s Special Education Director, was present the afternoon of June 19, 2007. On February 27, 2007, Student filed a request for due process hearing. The due process hearing was continued on April 6, 2007. At the close of the hearing, the parties requested time for written argument. A closing brief was filed by District on July 3, 2007, and by Student on July 16, 2007. The matter was submitted on July 16, 2007. 1 Father speaks fluent English, while Mother speaks Mandarin and Japanese. 2 At hearing, Student withdrew his contention that the District failed to create a transition plan for Student to enter the public school system. 3 Student’s contention regarding the one-to-one aide was inadvertently omitted from the issues for hearing in the June 1, 2007 Prehearing Conference Order. 4 Due to a scheduling conflict with additional ABA services, Student has not received occupational therapy services since mid-December 2006. 5 Ms. Bailey has never met Student. 6 Ms. Lopez obtained a copy of Dr. Major’s assessment report a few days before the September 19, 2006 IEP meeting. 7 A Japanese interpreter assisted during Ms. Lopez’s August 8, 2008 parent interview. District used a Japanese interpreter since Father requested on the assessment form that the District provide a Japanese translation of documents for Mother. 8 Neither party submitted a copy of this report into evidence, and Student did not challenge the validity of the test results. 9 Ms. Leonard administered the expressive and receptive language subtest of the PEP-R. District assessors did not administer any other PEP-R subtest. 10 The scores that Ms. Lopez reported placed Student in the borderline mental retardation range, and the scores that Dr. Majors reported placed Student just above the mental retardation line. 11 The September 19, 2006 meeting notes of Student’s ABA home program provider, Debbie Hsu of ACES, note that Mr. Majors stated that Student is not ready for classroom instruction, which corresponds to Dr. Majors’s report recommendations. 12 Student required a sensory diet to address his sensory integration deficits. 13 Regarding the cost element in the analysis, the District stated that cost was not a factor in its decisionmaking process regarding Student’s proposed placement. 14 While the District used the incorrect analysis during the IEP process to determine whether the Eastbluff SDC was the Least Restrictive Environment for Student, Parents would not have accepted a regular education placement with a one-to-one aide, even if the District had made such an offer as Student’s private assessors believed that Student was not ready for a classroom placement based on the information in the private assessments. Further, Mr. Majors and none of the assessors ever requested or recommended a combination regular education and ABA home program, which the District acknowledged is sometimes used for autistic students. 15 Student’s position at hearing that Parents, the private assessors, and Mr. Majors expressed at the meetings that Student should be in a regular education classroom with a one-to-one aide is not credible based on Dr. Majors’s report recommendation of an ABA home program, which corroborates the District’s IEP meeting notes. 16 All statutory citations to the Education Code are to California law, unless otherwise noted. 18 On October 13, 2006, amendments to the Code of Federal Regulations (C.F.R.) to correlate to the reauthorized IDEA became effective. Unless otherwise specified, the citations herein are to the version of the C.F.R. that was in effect when the IEP that is the subject of this Decision was drafted. B. not creating appropriate goals to meet his academic, speech and language, occupational therapy, behavioral and social-emotional needs? C. not offering Student a placement in the Least Restrictive Environment? D. the District predetermining Student’s IEP offer, not providing Parents with requested information, and failing to make a clear offer of speech and language and occupational therapy services? As a remedy, Student requests reimbursement for his private Applied Behavioral Analysis (ABA) home program and speech and language and occupational therapy services. Student also requests compensatory education in all academic areas and speech and language therapy, occupational therapy, and behavior and social skills training. Student contends that the District’s October 5, 2007 IEP does not provide Student with FAPE because Student requires an intensive ABA program at home due to his significant deficits, and the proposed Special Day Class (SDC) for autistic students does not meet his unique needs. Student also asserts that the District’s placement offer was not in the Least Restrictive Environment, as Student can be educated in a regular education classroom with a one-to-one aide. Student also asserts that the IEP failed to offer adequate speech and language and occupational therapy services to meet his unique needs. Student contends that the District did not offer adequate goals in the areas of academics, speech and language, social skills, gross and fine motor skills, and behavior. Student contends that the District based its proposed goals, related services and placement on inaccurate assessment information, especially since the District did not have a proper Mandarin translator for Student. Finally, Student contends that the District predetermined his placement and goals before the September 19, 2007 and October 5, 2007 IEP team meetings. The District contends that its offer of placement and services in the October 5, 2006 IEP is reasonably calculated to provide Student with FAPE. 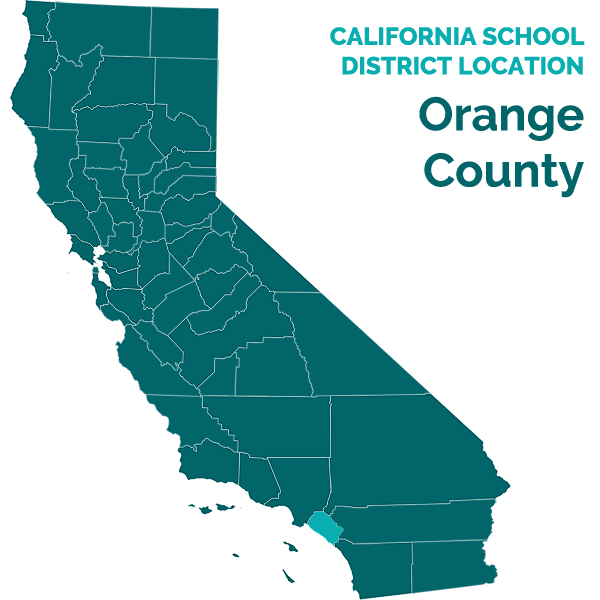 The District asserts that the proposed SDC placement is in the Least Restrictive Environment because Student requires intensive services due to Student’s significant academic, speech and language and social skills deficits. The District contends that while Student has significant needs that cannot be met in a regular education setting, it can meet Student’s needs in its SDC, so Student does not need an ABA home program. The District also asserts that it did not predetermine Student’s placement in its SDC program for autistic children before the first IEP meeting, and revised proposed goals based on the private assessments. Student never requested a regular education placement during the IEP process as Student’s private assessors recommended an ABA home program. 1. Student, born May 26, 1999, lives with his Parents within the District boundaries. Student and his Parents resided in Taiwan, and did not move permanently to the District until July 2007. Student was diagnosed with an autism spectrum disorder in February 2002. Student attended preschool, kindergarten and first grade in Taiwan in a regular education setting, with either his Mother or nanny being his personal aide. Student received minimal special education services while living in Taiwan. The parties do not dispute that Student is eligible for special education services under the criteria of Autistic-Like Behaviors based on Student’s and District’s assessments. 2. Parents notified the District in February 2006, that they were thinking about moving into the District, and that Student had been diagnosed with an autism spectrum disorder. On June 9, 2006, Father met with Lori Redelsheimer, District school psychologist, at the Newport Coast Elementary School (Newport Coast), Student’s home school. Father and Ms. Redelsheimer discussed Student’s autism diagnosis and need for special education services. Ms. Redelsheimer prepared an assessment plan for Student, and gave it to Father. 3. Student entered the District in mid-July 2006, Father signed an assessment plan, and the District began its assessments on August 9, 2006. The District assessed Student to determine his initial eligibility for special education services, and if eligible, the program and services he required. The District’s assessors conducted their observations and assessments of Student on August 9 and 17, 2006, and September 1 and 5, 2006. The District completed its multidisciplinary assessment report on September 18, 2006, the day before the IEP team meeting. 4. Parents informed the District that they had contracted with private assessors to assess Student. In February 2006, Parents obtained ABA services from ACES Inc., a Non-Public Agency, to see if Student could benefit from ABA instruction. Student began an ABA home program with ACES Inc. in August 2006 for 12 hours per week of home intervention, with an additional five hours per month of supervision. Parents also provided Student with two hours per week of occupational therapy and three hours per week of speech and language services. Parents have privately funded Student’s home ABA program and private occupational therapy and speech and language services since that date.4 Student has not attended a District school since entering the District. 5. A district must provide a student with an educational program that is reasonably calculated to provide the student with some educational benefit in the least restrictive environment. A district is not required to provide a special education student with the best education available or to provide instruction or services that maximize a student’s abilities. A school district need only provide a basic floor of opportunity that consists of access to specialized instructional and related services, which are individually designed to provide an educational benefit to the student. 6. The IDEA provides that an IEP must contain a statement of the current levels of educational performance, measurable annual goals, and a means to measure progress towards the goals. Additionally, the IEP team must take into account the results of the student’s most recent assessments in formulating the IEP to determine the student’s present levels of performance and the student’s unique needs, and to set appropriate goals. 7. The District convened IEP team meetings on September 18, 2006 and October 5, 2006. The District made a formal offer of placement and services on October 5, 2006. At the September 19, 2006 IEP team meeting, the District’s and Student’s assessors presented the findings of their reports. The team members also discussed Student’s eligibility for special education services. The team members agreed that Student’s unique needs involved his speech and language, occupational therapy, social-emotional, behavioral, and academic deficits. Due to time constraints, the IEP team did not discuss the District’s proposed placement, services and goals for Student. 8. The IEP team reconvened on October 5, 2006, when the District proposed to place Student for the 2006-2007 school year in its autism SDC for kindergarten and first grade students with mild-to-moderate disabilities at Eastbluff Elementary School (Eastbluff). The District’s October 5, 2006 IEP offered Student three weekly, half-hour individual speech and language sessions by a District speech pathologist. Student would also receive a weekly, half-hour group session conducted by the speech pathologist. The District offered Student a half-hour individual occupational therapy session, once a week, by a District occupational therapist. The occupational therapist would also provide one hour per month of consultation services during the school year. In addition, for a three month period, Student would receive 45 minutes per month individual support in a clinic setting. The IEP contained 33 goals in the areas of self-help, speech and language, occupational therapy, social-emotional, behavioral and academic skills. The District did not agree to Parents’ request for a home based ABA program, and Parents did not consent to any portion of the District’s IEP offer. At hearing, Student contended that the District’s October 5, 2006 IEP did not provide Student with a FAPE because the District based its offer on inaccurate assessment information. 9. The District’s IEP team members decided upon the Eastbluff SDC as the educational program best able to meet Student’s unique needs. At the time of the IEP meetings, the District had four autistic students in the classroom, taught by Dawn Bailey, a new SDC instructor for the 2006-2007 school year. The District employed Ms. Bailey, along with two instructional aides and a one-to-one aide, who was assigned to a particular student. Ms. Baba oversaw the Eastbluff SDC as part of her responsibility as an Autism Specialist. 10. The District employed ABA techniques in the Eastbluff SDC to instruct the students, which included the use of DTT to teach students new skills and to extinguish maladaptive behaviors. The District IEP team members, which included Ms. Bailey,5 described the District’s SDC program as a language-rich program. The District designed the SDC program to teach students class routines needed for a regular education classroom, such as using picture schedules to teach a student which activity to go to next, and being able to sit in group instruction. The District’s proposed offer permitted Student to spend about 25 percent of his school day with typically developing peers. The SDC program afforded students with opportunities to interact with regular education students during the regular opening and closing school gatherings, all-school recess, lunch and school assemblies. Later in the school year, students from the regular education would come into the SDC for additional mainstreaming opportunities. 11. The District provides the Eastbluff SDC teacher and instructional aides with adequate training regarding the instruction of autistic Students. District personnel received a two-day training on ABA instruction from Autism Partnerships, Non-Public Agency. District personnel then participate in a one week, hands-on training involving ABA implementation at the District’s preschool classroom for autistic children. Before providing care, Eastbluff SDC staff must pass a written and observational test. Eastbluff SDC personnel also receive on going training from Autism Partnerships, and feedback from Autism Partnerships, which observes the classroom, the students’ goals and adjusts the instructional strategies. 12. The parties do not dispute that Student has significant academic needs based on his cognitive deficits. The parties dispute the level of Student’s cognitive deficits and whether the District’s IEP offer is reasonably calculated to meet Student’s unique needs, especially the proposed placement of Eastbluff SDC. 13. Ivette Lopez, District school psychologist, conducted a psychoeducational assessment. Ms. Lopez is a certified school psychologist. Ms. Lopez obtained her Master of Science in School Psychology in July 2005, and started as a school psychologist with the District in September 2005. Ms. Lopez worked as a school psychologist intern during the first half of the 2004-2005 school year with the Anaheim City School District, and the second half with the Los Alamitos Unified School District. 15. Ms. Lopez assessed Student’s cognitive abilities, adaptive skills, and social-emotional skills. Ms. Lopez administered the Kaufman Assessment Battery for Children, Second Edition (KABC II) and Psychoeducational Profile, Revised (PEP-R). Ms. Lopez administered these tests primarily through a Mandarin interpreter. Ms. Lopez did administer portions of the tests in English, as Parents stated that Student knew some English. Ms. Lopez did not observe Student having any more difficulty understanding the Mandarin interpreter compared to when his Mother or nanny who spoke to Student in Mandarin. Parents did not express any concern to Ms. Lopez regarding Student’s ability to understand the Mandarin interpreter. Father completed the Scales of Independent Behavior-Revised (SIB-R) questionnaire. 16. Ms. Lopez administered the KABC-II to measure Student’s processing and cognitive agilities. Ms. Lopez used the Nonverbal Scale portion of the KABC-II due to Student’s limited English proficiency, significant language delays and autism diagnosis. Ms. Lopez appropriately selected the KABC-II because the test had recently been re-normed to include children who were English language learners and children with a range of disabilities, not just typically developing children. Ms. Lopez had some difficulty administering the KABC-II because Student required numerous verbal and physical prompts to complete tasks due to his limited joint attention skills and inability to remain on task. Ms. Lopez found on the Nonverbal Scale portion of the KABC-II that Student had a score of 55, which placed Student at the .1 percentile. Student displayed strengths regarding spatial relations and visualizations in the assembling triangles and block counting portions of the assessment. Student had difficulty with portions of the KABC-II that measured pattern reasoning and hand movements, which measure sequential processing and short term memory. 17. Ms. Lopez administered the cognitive verbal/preverbal subtest of the PEP-R.9 The PEP-R is designed to assess typical areas of developmental skill delays, such as fine and gross motor skills, perception, imitation and verbal skills, for preschool and grade-school autistic children. On the cognitive verbal/preverbal subtest of the PEP-R, Ms. Lopez found that Student had significant cognitive delays as his developmental age was 54 months, which is in the 70th percentile. This result corresponded to the significant cognitive delays indicated in the KABC-II results. 18. Besides finding Student eligible for special education services under the criteria of Autistic-Like Behaviors, Ms. Lopez found that Student met the eligibility criteria of Mental Retardation based on Student’s significantly below average intellectual function, based on his test scores, and deficits with adaptive behaviors that adversely impacted his educational performance. However, Ms. Lopez noted in her testimony and report that Student’s low cognitive scores that qualified him for special education under the criteria of Mental Retardation could be based on lack of educational skills. Therefore, Ms. Lopez stated that Student’s score would probably increase with special education services, which would to lead a reassessment of Student’s Mental Retardation eligibility. 19. Melissa O’Gara-Smyth, a District special education teacher, administered academic testing. Ms. O’Gara-Smyth administered academic testing. Ms. O’Gara-Smyth has worked for the District since June 2005, and has extensive experience and training in working with autistic students. Ms. O’Gara-Smyth used the Brigance Diagnostic Inventory of Early Development-II (Brigance) to assess Student’s academic, life and applied skills. Ms. O’Gara-Smyth had difficulty maintaining Student’s attention during her administration of the Brigance as Student required constant redirection. Ms. O’Gara-Smyth conducted the assessment through the Mandarin translator. Student could count to 10, write his first and last name, knew his colors and body parts. Student did not know shapes, other than a circle, and while Student knew how to hold a book, he merely flipped through the pages without attempting to read. Ms. O’Gara-Smyth did not attend the IEP team meetings, but did discuss her finding with the District assessment team. 20. Dr. Christine Majors assessed Student in May and June 2006 over three days. Dr. Majors conducted a variety of cognitive and academic assessments to determine Student’s ability to learn. With a minor exception concerning Student’s IQ, Dr. Majors’ findings were not significantly different from those of District psychologist Lopez. Dr. Majors found Student’s IQ to be in the low average range, and disputed the District’s recommendation that Student was also eligible for special education under the criteria of Mental Retardation.10 However, the issue regarding whether Ms. Lopez incorrectly determined Student’s secondary eligibility of Mental Retardation is not relevant whether the District’s offer of placement and services is proper because the assessments were consistent regarding Student’s academic needs and cognitive deficits. 21. The District offered Eastbluff SDC because the District assessors determined that Student’s academic needs due to his cognitive deficits were so severe that they could not be met in a regular education classroom. Ms. Lopez recommended that the Eastbluff SDC was the appropriate placement for Student to obtain further skills to be able to learn in a regular education setting due to Student’s significant cognitive and social-emotional delays. The District believed that Student require the intensive instruction in a small classroom that the Eastbluff SDC offered. Parents, through their legal counsel, Mr. Majors, objected to the District’s proposed placement at Eastbluff at the October 5, 2006 IEP meeting as Parents requested a home-based ABA program at the IEP meetings. Parents requested the home-based ABA program to give Student even more intensive services. 22. Neither Dr. Majors’s assessment, nor her testimony, established that Student could not make adequate educational progress in the Eastbluff SDC. Instead, her report recommended that Student have a home-based ABA program to maximize Student’s educational progress. Dr. Major’s claim at hearing that Student should be placed in a regular education classroom was not credible. Dr. Majors testified at hearing that she recommended a regular education placement at the IEP meeting, but that is in direct conflict with the recommendation in her report. At the September 19, 2006 IEP meeting, Dr. Majors presented her report, which recommended Student attend an intensive ABA home program because of his “significant deficits in those skills that would allow him to learn in a classroom . . . . Intensive intervention will prepare [Student] to enter a regular education classroom at a later time.” Dr. Majors further recommended in her report not placing Student in a regular education classroom until he developed the requisite academic skills.11 Because Dr. Majors’s testimony focused on Student attending a regular education classroom, she did not establish why Student required a home-based ABA program. 23. Regarding the proposed goals, the District made the academic goals harder based on Ms. Hsu’s opinion that the goals were too easy, or that Student had already met the proposed goal. At hearing, Denise Eckman, Psy.D., operator of Student’s current ABA home program provider, Autism Solution, did not address the District’s proposed goals to give an opinion whether the proposed academic goals were appropriate for Student. Dr. Eckman’s disagreement regarding the District’s goals centered on her belief that a home-based ABA program was best suited to meet Student’s goals to maximize Student’s progress. In fact, Dr. Eckman reviewed the District’s proposed goals when Autism Solutions took over Student’s ABA program in December 2006, and implemented these goals. 24. Other than the dispute regarding whether Student qualified for special education under a secondary eligibility of Mental Retardation, the private and District assessments painted a consistent picture regarding Student’s deficits and his unique needs. The District’s placement offer was based on Student’s overall unique needs, and how best to remediate those deficits, not on Ms. Lopez’s opinion regarding Student’s Mental Retardation eligibility. The dispute regarding placement and goals between Student and the District focused purely on Parents’ desire to maximize the level services Student received. However, since Student’s evidence only established that the District’s proposed placement at Eastbluff SDC and proposed goals could not maximize Student’s potential. Student never established that he could not receive some educational benefit at the Eastbluff SDC with the proposed goals. 25. The parties do not dispute that Student requires speech and language services to meet his unique needs. The parties dispute the level of services Student requires, and whether the District accurately determined Student’s speech and language needs during its assessments. 26. Sondra Leonard, District speech and language pathologist, conducted a speech and language assessment, based on Parents’ concerns regarding Student’s speech and language skills. Ms. Leonard obtained her Master of Science degree in communicative disorders in May 2005, and then started working for the District as a speech and language pathologist at the start of the 2005-2006 school year. Ms. Leonard possesses a California speech pathologist license. Ms. Leonard’s assessment consisted of an observation in a Newport Coast classroom, and conducting the expressive and receptive language subtest of the PEP-R. Ms. Leonard also administered the Goldman Fristoe Test of Articulation-2 to measure Student’s ability to form words and sounds. A Mandarin interpreter was present during the September 5, 2006 observation and assessment. Mother did not indicate any problem regarding the interpreter to Ms. Leonard. Mother also told Ms. Leonard that Student understood Mandarin and English equally. Ms. Leonard completed the Functional Community Profile-Revised (FCP-R) based on her observation. The FCP-R measures a student’s methods of communication, communication interactions and functions, expressive and receptive language skills and cognitive abilities. Ms. Leonard limited her assessment because Student’s private assessors, Grace Chao, CCC-SLP, administered tests that Ms. Leonard would have used. Ms. Leonard had Ms. Chao’s results when she completed her assessment report. 27. Ms. Leonard observed that Student exhibited limited spontaneous speech, and did not respond to her commands. Student exhibited self-stimulatory vocalizations, which did not contain meaningful language. Ms. Leonard observed that Student’s receptive and expressive language skills were significantly delayed, as Student was not very responsive to Ms. Leonard’s questioning. Student’s answers consisted of a single word response, except for saying that he wanted something. On the PEP-3 expressive and receptive language subtest, Student had a developmental age of 23 months for both receptive and expressive language. Student’s speech could be understood with moderate difficulty. Student had articulation problems in both Mandarin and English, as Student would substitute incorrect sounds for the correct sound. Student displayed difficulty in taking turns, preferred solitary play and had limited eye contact when speaking with others. Ms. Leonard stated that Student was eligible for special education services under the criteria of speech and language based on his significant expressive and receptive language deficits found in her and Ms. Chao’s assessments. 28. Ms. Chao conducted the Peabody Picture Vocabulary Test, the Third Edition (PPVT-III), Receptive One-Word Picture Vocabulary Test (ROWPVT), the Expressive Vocabulary Test, Preschool Language Scale, Fourth Edition, and the Structured Photographic Articulation Test II. Ms. Chao speaks Mandarin, and conducted her assessments in both Mandarin and English, and Student could respond to both languages, although he expressed a preference for Mandarin. 29. Ms. Chao did not argue during the IEP meetings, or at hearing, that there were any inaccuracies in Ms. Leonard’s results. Ms. Leonard and Ms. Chao’s speech and language assessments were consistent regarding Student’s significant expressive and receptive language deficits, and his problems with articulation. Both assessments found that Student lacked social pragmatic language skills, as Student would not make eye contact when speaking, nor engage in turn-taking during an activity. 30. Based on her own assessment and Ms. Chao’s, Ms. Leonard opined that the Eastbluff SDC was the appropriate placement based on Student’s significant expressive and receptive language deficits. Ms. Leonard was concerned about Student’s limited language skills, and that both assessments indicated that Student did not have the requisite language skills to succeed in a regular education classroom. Ms. Leonard stated that Student required intensive, specialized instruction to teach him basic speech and language skills needed for a regular education classroom. Ms. Leonard stated that Student did not have the ability to learn language from typically developing peers in a regular education setting because Student did not have adequate modeling skills. At Eastbluff SDC, the District’s speech pathologist provides consultation to the teacher on employing different strategies to improve the autistic students’ expressive and receptive language skills. The speech pathologist also conducts a weekly, half-hour group session. 31. The District drafted proposed speech and language goals before the September 19, 2006 IEP team meeting based on the District’s multidisciplinary psychoeducational assessment report. After this IEP meeting, District team members revised the goals based on the private assessment reports presented on September 19, 2006. The District further modified the speech and language goals based on Ms. Leonard and Ms. Chao collaborating at the October 5, 2006 IEP team meeting. 32. Ms. Chao did not object to the present levels of performance at the October 5, 2006 IEP meeting. Ms. Chao objected to the proposed goals because she felt that the goals could be best met in an ABA home program. The District representatives disagreed because they felt, based on the assessments, Student needed to learn skills in a group setting because he needed to generalize new skills in a school setting. 33. Ms. Chao’s disagreement with Ms. Leonard’s assessment report and recommendations at the IEP meetings focused exclusively on the level of services Ms. Leonard proposed. Ms. Chao believes that Student should receive as much speech and language service as possible under the philosophy that “more is better.” As did Dr. Majors, Ms. Chao based her opinions on maximizing Student’s potential, and not whether the District’s proposed placement and offer of related services would allow Student to make adequate educational progress. Ms. Chao did not establish that Student’s speech and language needs could not be met in a group setting at Eastbluff SDC. Therefore, Student did not establish that the District could not meet Student’s speech and language needs at Eastbluff SDC. 34. The District’s October 5, 2006 IEP offered Student three weekly, half-hour individual speech and language sessions by a District speech pathologist. Student would also receive a weekly, half-hour group session conducted by the speech pathologist. The District sent a clarifying letter to Parents on October 19, 2006, because the District was not able to discuss its offer of speech and language services before the October 5, 2006 IEP team meeting concluded. Parents never responded to this letter. 35. The District based its speech and language offer on Ms. Chao and Ms. Leonard’s assessments. As noted above, Ms. Chao and Ms. Leonard’s assessments were substantially similar regarding Student’s levels of deficits and areas of need for expressive and receptive language, social pragmatic language skills, and articulation. Ms. Leonard did not dispute that Student had significant areas of need regarding speech and language, as evidenced by the fact that Ms. Chao could not obtain a minimum number of correct responses on the PPVT-III and ROWPVT to obtain a standard score to measure Student’s receptive language skills. However, Ms. Chao based her opinion why the District’s offer did not meet Student’s unique needs on maximizing Student’s potential, not whether the District’s offer would allow Student to make adequate progress. Ms. Chao never stated that the District’s offer would not permit Student to make adequate educational progress. Therefore, Student did not establish that the District’s offer of speech and language services would not provide Student with a FAPE. 36. The parties do not dispute that Student requires occupational therapy services to meet his unique needs. The parties dispute the level of services Student requires, and whether the District accurately determined Student’s occupational therapy needs during the assessment process. 37. Jane Martin-La Croix, District occupational therapist, conducted an occupational therapy assessment that examined Student’s fine and gross motor abilities and sensory integration needs. Ms. Martin-La Croix conducted the District’s occupational therapy assessment on August 17, 2006. Ms. Martin-La Croix could only attend the September 19, 2006 IEP team meeting, where she presented her assessment findings. District occupational therapist Aparna Mahajan attended the October 5, 2006 IEP meeting on Ms. Martin-La Croix’s behalf. Ms. Mahajan reviewed Ms. Martin-La Croix and Student’s private assessor, Nancy Lin’s, OTR/L, reports before attending this meeting. Ms. Martin-La Croix did not testify at hearing, and Ms. Mahajan interpreted Ms. Martin-La Croix report findings at hearing. 38. Ms. Martin-La Croix’s assessment report did not indicate that Student had any significant fine or gross motor skill deficits. As noted by other District assessors, Student could write upper case English letters with little difficulty, but had some difficulty with lower case letters. Student had little difficulty using school play equipment. Student did show signs with having difficulty processing sensory information based on his body awareness and problems in processing his body position and movements. Student did not exhibit significant tactile or smell defensiveness with different textures, such as shaving cream, or odors. Parents did not report to Ms. Martin-La Croix that Student had problems with balance or coordination, as Student could run, jump and ride a bicycle without training wheels. Ms. Martin-La Croix administered the Buktenica Development test of Visual Motor Integration (VMI), which indicated that Student’s fine motor skills were in the average range for his age and motor coordination skills in the low average range. Ms. Mahajan stated that based on her review of Ms. Martin-La Croix and Ms. Lin’s assessments, that both assessments were consistent regarding Student’s sensory integration deficits, and that Student did not exhibit significant fine or gross motor skill problems. 39. Occupational therapist Nancy Lin assessed Student on July 24, 2006 and August 24, 2006, and provided Student with occupational therapy services starting approximately August 15, 2006. Ms. Lin observed Student as part of her assessment and administered the Bruniniks-Oseretsky of Motor Proficiency, Second Edition and Developmental Test of Visual Motor Integration, Fifth Edition. Ms. Lin’s assessment did not find that Student had significant gross and fine motor deficits, as those were areas of strength, along with visual processing. Ms. Lin stated that Student had weakness in processing sensory inputs, such as sound and touch, and would have emotional outbursts when frustrated. Ms. Lin also noted that Student had attention problems, which could be regulated through improving his sensory processing. Ms. Lin’s findings were consistent with the findings presented by Ms. Martin-La Croix. 40. Ms. Mahajan stated that the Eastbluff SDC would meet Student’s occupational therapy needs. The Eastbluff SDC also incorporates occupational therapy instruction into the student’s daily program. Ms. Bailey described the daily activities provided to work on occupational therapy needs, and the available classroom equipment. The District’s occupational therapist consults with the Eastbluff SDC staff. Ms. Lin did not state that Eastbluff SDC could not meet Student’s occupational therapy needs, just that Student needed the greatest amount of services possible. 41. The District’s October 5, 2006 IEP offered Student for the 2006-2007 school year a half hour individual occupational therapy session, once a week, by a District occupational therapist. The occupational therapist would also provide one hour per month of consultation services during the school year. In addition, for a three month period, Student would receive 45 minutes per month individual support in a clinic setting to permit the District to develop a sensory diet.12 The District sent a clarifying letter to Parents on October 19, 2006, because the District was not able to discuss its offer for occupational therapy services before the October 5, 2006 IEP team meeting concluded. 42. The District based its occupational therapy offer on Ms. Lin and Ms. Martin-La Croix’s assessments, which were substantially similar regarding Student’s levels of deficits and areas of need involving sensory integration and fine and gross motor skills. Neither assessment indicated that Student required significant services for any gross or fine motor deficits. Both assessments showed that Student’s greatest area of need involved his inability to properly process sensory information and seek out sensory inputs, which required the development of sensory diet. The difference between the views of Ms. Lin and Ms. Martin-La Croix is only in the amount and intensity of occupational therapy service Student requires. Ms. Lin based her recommendation that Student receive a 60 minute individual session, twice per week on maximizing Student’s potential. Ms. Lin, like Ms. Chao, based her recommendation on maximizing Student’s potential. Ms. Lin’s disagreed with the District’s offer based on her desire to maximize Student’s services, not whether the District’s offer would not allow Student to make adequate progress. Therefore, Student did not establish that the District’s offer of occupational therapy services would not provide Student with a FAPE. 43. The parties do not dispute that Student has social-emotional and behavioral deficits related to his disability. The parties dispute whether the District could meet Student’s needs in its Eastbluff SDC, and whether the goals that the District proposed met Student’s unique needs. 44. Autism Specialist, Marie Baba, and District Behavior Specialist, Karyn So, examined Student’s social-emotional and adaptive behavior skills. Ms. Baba is an autism specialist with the District. She began this position in September 2006. Previously, Ms. Baba was a special education teacher at Eastbluff for two years in a SDC for fourth to sixth grade autistic students, and in a similar class in another district for the two prior years. Ms. Baba possesses a credential to teach students with mild-to-moderate disabilities, and has extensive training regarding the education of autistic students. 45. Ms. So has been employed as a school psychologist with the District since July 2004, and is a behavior specialist for the District. Ms. So has a master’s degree in counseling, with an option in school counseling, and has a California pupil personnel services credential to be a school psychologist. Ms. So is also a Board Certified Behavior Analyst. Ms. So has extensive training regarding ABA and Distinct Trial Training (DTT) and developing Behavior Support Plans (BSP). 46. Ms. Baba observed Student at his home on September 1, 2006, with Ms. So and a Mandarin interpreter. Ms. Baba’s role was to look at Student’s behaviors and their impact on his education. Ms. Baba observed that Student engaged in verbal self-stimulation by repeating simple expressions. Student had difficulty staying on task and roamed around. He could make simple verbal requests. Student’s areas of strengths were his motor skills, as he could draw and knew the functions of items presented to him. Ms. Baba noted that Student had the ability to learn, but that his areas of need included inability to sit properly and pay attention, difficulty in communicating with others, and being inflexible regarding task completion. Ms. Baba found that Student’s behavior difficulties would significantly impair his ability to learn in group instruction. 47. Ms. So’s responsibility was to observe Student’s behaviors to determine his present levels of performance regarding behaviors, and to develop a BSP. Ms. So did not conduct any formal or informal assessments, and observed Student for approximately one hour. Ms. So also had Father complete the Behavior Assessment System for Children, Second Edition, Parent Rating Scale (BASC-2). The BASC-2 assesses a parent’s perception of a student’s social and adaptive skills, and emotional and maladaptive behaviors. 48. Ms. So observed Student engaging in verbal self-stimulatory activities in front of a mirror. Ms. So also observed that Student did not engage with other adults or his sisters, did not appear to know how to read a book, and would grab a person’s arm when frustrated. Ms. So noted that Student had good drawing skills, would ask for item with “I want” when prompted. Ms. So did not believe that Student’s behaviors were so severe that he would not benefit from attending school. Ms. So identified areas of need involving Student’s pragmatic skills regarding social interaction, academic skills, and social skills. Ms. So found on the BASC-2 that Student had clinically significant deficits regarding atypical behavior, withdrawal and attention problems. Also, Student lacked adaptability skills, social skills and ability to engage in functional communication. According to the BASC-2 results, Student did not exhibit significant problems with aggression, hyperactivity and conduct problems. 49. Ms. Lopez used the SIB-R to assess Student’s behavior and social skills. The SIB-R showed that Student had limited social interaction and communication skills, and Student scored in the range of a child at the age of two years old. Ms. Lopez observed that Student had limited social interaction skills, and had difficulty with age appropriate social interaction tasks. Ms. Lopez observed that Student had limited eye contact, and limited joint attention skills. Student had to be prompted often to remain on task, and had a tendency to roam, especially to avoid non-preferred tasks. Ms. Lopez’s observations and Parents’ responses on the SIB-R indicated that Student had significant deficits regarding his lack of interaction with other children, including his younger sisters, withdrawing from others, inattention, and repetitive conduct. 50. Based on Student’s deficits, Ms. Baba recommended that Student attend a SDC for autistic students. Ms. Baba stated that Student lacked the independence skills needed to succeed in a regular education classroom due to his lack of language skills, and behavior problems, including roaming and verbal self-stimulation. Also, Student could not progress adequately in a regular education setting because he could not engage in joint attention with others, and had difficulty staying on task. Student needed the routine and intense instruction, especially language and classroom skills to Student could learn the skills he needed to succeed in a regular education setting, which a SDC provides. Ms. So stated that based on her observation of Student, the BASC-2 results and information presented at the September 19, 2006 IEP meeting that Student did not have requisite skills to succeed in a regular education classroom and that he needed the intense instruction and structured environment at the Eastbluff SDC to meet his unique needs. 51. Student’s private assessors noted similar behavioral deficits. Student had difficulty remaining on task during the private assessments, would roam, and engaged in self-stimulatory activities. At hearing, none of Student’s assessors challenged the accuracy of the District’s present levels of performance nor the adequacy of the proposed goals. Student’s assessors dispute centered on the appropriateness of the District’s proposed placement. Based on the severity of Student’s behavioral deficits, Student could not make adequate progress in a regular education classroom, even with a one-to-one. Student required intensive remediation, which the District could provide at Eastbluff SDC. 52. At hearing, Student sought a one-to-one aide in conjunction with his request for a regular education placement, not a SDC placement. Student did not establish that he required a dedicated one-to-one aide in the proposed Eastbluff SDC placement to have his educational needs met. None of the assessments indicated that Student’s behavior deficits were so significant that he required a one-to-one aide to meet his education needs. The assessments established that Student required intensive help in a small class with a low student to teacher ratio to keep Student on task and focused, and to provide the instruction Student requires. The Eastbluff SDC staff to student ratio was adequate to meet Student’s need for individualized instruction. 53. A school district is required to place a special education student in the least restrictive environment in which he can be satisfactorily educated. An analysis of the least restrict environment must consider four factors: (1) the educational benefits to the child of placement full-time in a regular class; (2) the non-academic benefits to the child of such placement; (3) the effect the disabled child will have on the teacher and children in the regular class; and (4) the costs of educating the child in a regular classroom with appropriate services, as compared to the cost of educating the child in the district’s proposed setting. 54. The District’s IEP team members considered whether the Eastbluff SDC constituted the Least Restrictive Environment for Student. However, the District IEP team members used the incorrect analysis. While the various District IEP team members employed different methods to determine the Least Restrictive Environment, their analyses focused on where the District could best meet Student’s needs. However, as noted above, the Least Restrictive Environment analysis focuses on whether the District can satisfactorily educate Student in a regular education setting with supplementary supports and services. It is only after the District determines that it cannot satisfactorily educate Student in a regular education setting that the District can consider more restrictive settings, such as the Eastbluff SDC. 55. Although the District applied the incorrect Least Restrictive Environment analysis, Eastbluff SDC is nonetheless the Least Restrictive Environment because Student could not make satisfactory educational progress in a regular education classroom. Both Dr. Majors and Ms. Lopez found that Student had significant cognitive and academic deficits. Their assessments and the speech and language assessments found that Student had significant expressive and receptive language delays, engaged in verbal self-stimulation, had limited ability to stay on task, and very limited joint attention skills with other children and adults. The occupational therapy assessors, Ms. So, Ms. Baba, Dr. Majors and Ms. Lopez all found that Student would roam, especially to avoid unwanted tasks, and would engage in maladaptive behaviors, such as grabbing a person’s arm, when frustrated. Student also lacked requisite attention skills. While in Taiwan, Student did not have the benefit of proper special education services to address his unique needs related to his autism. Consequently, Student had significant delays that required intensive services that prevented him for obtaining any benefit from a regular education placement. Therefore, Student required the intensive services the District offered at the Eastbluff SDC, with a specially trained teacher and smaller class size, with speech and language and occupational therapy services pushed into the classroom. 56. At the time of the IEP meetings, Student needed to learn social skills, which he could learn by modeling his typically developing peers. However, Student lacked the fundamental skills required to interact with other children, either verbally or non-verbally. Student needed to learn how to interact with others, as Student would play by himself and make little or no effort to interact with others, unless he wanted something. In the Eastbluff SDC, the District could teach Student the social and language skills that he needed to interact with his typically developing peers and benefit from a regular education placement. The Eastbluff SDC program contained opportunities for Student to interact with typically developing peers throughout the school day. 59. A school district must comply both procedurally and substantively with the IDEA. While not every procedural flaw constitutes a denial of FAPE, procedural flaws that inhibit a student’s right to receive a FAPE, significantly prevent a parent’s opportunity to participate in the IEP process, or cause a deprivation of educational benefit to a student, will constitute a denial of FAPE. A school district may commit a procedural violation of the IDEIA if it comes to an IEP meeting without an open mind and several options to offer for discussion with all team members. A district fulfills its obligation in this regard if it discusses and considers any suggestions and/or concerns a parent has concerning the child’s placement. 60. The District’s IEP team members met before the first IEP meeting on September 19, 2006, to review the District’s assessment findings and the private assessment, and to develop a proposed IEP to present to Parents. The fact that the District wrote an IEP that proposed the Eastbluff SDC as Student’s placement does not mean that the District predetermined Student’s placement and did not consider all relevant information provided at the IEP meetings by Student’s representatives. The District IEP team members considered Student’s request for an ABA home program, and tried to discuss it with Parents. However, Mr. Majors stated throughout the IEP process that Parents would only accept an ABA home program.15 The District IEP team members considered the assessment reports presented by Dr. Majors, Ms. Chao and Ms. Lin at the September 19, 2006 IEP team meeting, and found that they supported the District’s recommendation. Other than the issue of Student’s secondary eligibility under the criteria of mental retardation, the District and private assessors expressed consensus regarding Student’s unique educational, social-emotional and behavioral needs. The fact that the District did not agree with Parents’ request for an ABA home program merely reflected that the parties had a good faith disagreement regarding the appropriate placement, not that the District predetermined Student’s proposed placement and was not willing to consider Parents’ request. 61. At the October 5, 2006 IEP team meeting, Mr. Majors requested information from the District regarding the qualifications and training of Ms. Bailey and the instructional aides in the Eastbluff SDC. Mr. Majors also requested information regarding the cognitive ability of the other children in the Eastbluff SDC. Ms. Shields led the IEP meeting for the District and refused to provide Parents with detailed information regarding Eastbluff SDC staff qualifications. She also refused to provide Parents with information regarding the cognitive abilities of the other Students because that information was confidential. Parents contend that they needed this information to determine whether the District’s proposed placement had qualified staff to meet Student’s unique needs, and whether Student would be compatible with his classmates. However, even if the District were required to provide the requested information, the District’s failure to provide it did not prevent Parents from meaningfully participating in the educational decisionmaking process. Student did not establish that the SDC staff was inadequately trained, as the evidence showed the opposite. There was no evidence that Student would not have been compatible with other students in the SDC. Parents would not have consented to Eastbluff SDC even if the District disclosed the requested information because of their insistence that Student have a full-time ABA home program. 62. Student also contends that the District’s offer of speech and language and occupational therapy services on the IEP was not sufficiently clear to permit Parents to meaningfully consider the offer. Because the District could not present its offer for speech and language and occupational therapy services at the October 5, 2006 IEP team meeting, Ms. Shields sent a clarifying letter on October 19, 2006, that adequately explained the District’s offer. The letter stated explicitly the type of service, the number of hours of service the District offered, and whether individual or group. Also, even if the District presented its speech and language and occupational therapy offer on October 5, 2006, Parents would not have accepted because of the desire to maximize services Student received. Did the District’s October 5, 2006 IEP deny Student a FAPE in the Least Restrictive Environment by not offering Student a regular education placement with a one-to-one aide? 6. The Rowley decision established that, as long as a school district provides an appropriate education, methodology is left up to the district’s discretion. (Rowley , 458 U.S. at p. 208.) Subsequent case law confirms that this holding governs disputes regarding the choice among methodologies for educating children with autism. (See, e.g., Adams v. State of Oregon , 195 F.3d at p. 1149; Pitchford v. Salem-Keizer Sch. Dist. (D. Or. 2001) 155 F. Supp.2d 1213, 1230-32; T.B. v. Warwick Sch. Comm. (1st Cir. 2004) 361 F.3d 80, 84.) As the First Circuit Court of Appeal noted, the Rowley standard recognizes that courts are ill equipped to second-guess reasonable choices that school districts have made among appropriate instructional methods. (T.B. , 361 F.3d at p. 84 (citing Roland M. , 910 F.2d at pp. 992-93).) “Beyond the broad questions of a student’s general capabilities and whether an educational plan identifies and addresses his or her basic needs, courts should be loathe to intrude very far into interstitial details or to become embroiled in captious disputes as to the precise efficacy of different instructional programs.” (Roland M. v. Concord Sch. Committee (1st Cir. 1990) 910 F.2d 983, 992 (citing Rowley, 458 U.S. at p. 202. 8. An IEP is evaluated in light of information available at the time it was developed; it is not judged in hindsight. (Adams v. State of Oregon (9th Cir. 1999) 195 F.3d 1141, 1149. )17 It must be evaluated in terms of what was objectively reasonable when the IEP was developed. (Ibid ). 10. Pursuant to Factual Findings 12-20, 25-29, 36-39, and 43-49 and Legal Conclusions 2-9, the District developed the October 5, 2006 IEP offer of proposed placement, goals and services based upon accurate information regarding the Student’s unique academic, speech and language, occupational therapy, social-emotional and behavioral needs and deficits. Both the District’s and Student’s private assessors painted a consistent picture regarding Student’s unique needs and deficit that impacted his ability to access the general education curriculum. Student’s private assessments corroborated the information developed in the District’s assessments. 11. Pursuant to Factual Findings 9-11, 21-24, 30-33. 40-42 and 50-51 and Legal Conclusions 2-9, the District’s offer of placement at Eastbluff SDC was reasonably calculated to provide Student with some educational benefit at the time that the District made its offer. Student required intensive instruction to meet his significant academic, speech and language, social-emotional and behavioral needs. Based on the District’s and Student’s private assessments, Student could not make adequate educational progress in a regular education classroom as Student did not have the basic skills needed, such as being able to sit still, being able to pay attention to the teacher and other students, and being able to understand pragmatic verbal and non-verbal communication. Student required the intensive services offered at Eastbluff SDC, which offered a language rich curriculum in a small class. Student’s request for a home-based ABA program was to maximize the services provided to Student. 12. Pursuant to Factual Findings 9-11, 21-24, 30-33, 40-42 and 50-51 and Legal Conclusions 2-9, the District’s offer of related services to Student for speech and language and occupational therapy was adequate. The District based its offer on accurate information regarding Student’s needs. Student’s assessors were not credible regarding their dispute regarding the District’s offer because the private assessors used the analysis of “more is better” in determining the adequacy of the District’s offer, and not whether the offer would allow Student to obtain some educational benefit. 13. Pursuant to Factual Finding 52 and Legal Conclusions 2-10, Student did not require a one-to-one aide to receive a FAPE. Student did not establish that the Eastbluff SDC would not provide him with a FAPE with its small class size and low student to teacher ratio. The District could meet Student’s unique needs at Eastbluff SDC with the small class size and low student to staff ratio. Student did not establish that he needed an individual aide assigned to him. Also, Student did not present evidence why he needed a dedicated one-to-one aide to meet his unique needs, versus Eastbluff SDC’s small class size and low student to teacher ratio. Did the District’s October 5, 2006 IEP deny Student a FAPE by not creating appropriate goals to meet his academic, speech and language, occupational therapy, behavioral and social-emotional needs? 14. Pursuant to Factual Findings 9-11, 21-24, 30-33. 40-42 and 50-51 and Legal Conclusions 2-10, the District proposed adequate goals to meet Student’s unique needs, and which would provide Student a FAPE. The District developed the proposed goals based on its own and Student’s assessments regarding Student’s strengths and weaknesses. Student did not raise any specific objections to the District’s proposed goals at the IEP meetings and at hearing, except that the goals could best be met in a home-based ABA program. Student did not prove that the District’s goals would not provide Student with some educational benefit as Student’s challenge to the goals was that they would not maximize Student’s potential. Did the District’s October 5, 2006 IEP deny Student a FAPE by not offering Student a placement in the Least Restrictive Environment? 16. Pursuant to Factual Findings 53-58 and Legal Conclusions 17-18, even though the District applied the incorrect Least Restrictive Environment analysis, the District’s proposed placement at Eastbluff SDC is the Least Restrictive Environment. The District applied the incorrect analysis regarding Least Restrictive Environment because the District focused on where it could best provide services to meet Student’s needs. However, if the District did apply the correct analysis, Eastbluff SDC would be the Least Restrictive Environment. The District’s proposed offer permitted Student to spend about 25 percent of his school day with typically developing peers. Student could not make sufficient educational progress in a regular education classroom due to the severity of needs, as established by all the assessments. Student’s own assessor, Dr. Majors, stated in her assessment report that Student was not ready for a regular education classroom, and that he needed to learn basic skills to succeed. Regarding non-academic benefits of regular education, Student lacked the social interaction, behavioral and expressive and receptive language skills to interact with typically developing peers. Student’s deficits would cause him to be disruptive in class, even with a one-to-one aide. As noted previously, cost was not a factor in the District’s decision. A balancing of these interests favor the District’s proposed placement, because Student needs intensive instruction in a special education setting to obtain some educational benefit, which he could not obtain in a regular education setting with additional supports and services. Did the District’s October 5, 2006 IEP deny Student a FAPE by the District predetermining Student’s IEP offer, not providing Parents with requested information, and failing to make a clear offer of speech and language and occupational therapy services? 20. The District did not enter the IEP meetings with a predetermined IEP. While the District drafted a proposed IEP before the September 19, 2006 IEP team meeting, the District did listen to information presented by Parents, the private assessors and Mr. Majors. The District modified proposed goals based on private assessors’ input. The fact that the District disagreed with Parent’s proposed placement and request for related services does not mean that the District predetermined its offer. Instead, the District’s steadiness regarding its offer was based on a good faith evaluation of information presented, and how best to meet Student’s unique needs. The District is not required by the IDEIA to capitulate to Student’s request to be shown not to have predetermined its proposed offer of placement, goals and services. 21. The District’s offer of related services for speech and language and occupational therapy was sufficiently clear and concise. The District was not able to explain these related services at the IEP meetings due to length of time the parties took to go over the assessments, proposed goals and proposed placement. The District in its October 19, 2006 letter provided sufficient clarity regarding its offer. Additionally, even if the District presented its proposed speech and language and occupational therapy related services, as stated in the October 19, 2006 letter, at the IEP meetings, Parents would have rejected the District’s offer because Parents wanted services that would maximize Student’s potential. Finally, the District did not violate Parents’ procedural right by not providing Parents with detailed information regarding the Eastbluff SDC staff’s educational and training, and the cognitive abilities of the students, as Parents would not have consented to the District offer of the Eastbluff SDC with the requested information. 22. Pursuant to Factual Findings 59-62 and Legal Conclusions 17-21, the District did not predetermine Student’s proposed placement, nor the proposed goals and related services. The District evaluated all relevant information provided by the private assessors and Parents, which caused the District to revise its goals. However, the District correctly decided that based on all relevant information that the Eastbluff SDC was the correct placement for Student. The fact that the District disagreed with Parents and did not make all the changes Parents requested does not mean that the District predetermined its offer. Additionally, even if the District provided Parents with all the requested information regarding Eastbluff SDC staff training and qualification, cognitive abilities of the other Student’s and a more detailed description of the District’s proposed speech and language and occupational therapy services, Parents would not have consented to the District’s offer. The District did not hinder Parents ability to participate in Student’s educational decisionmaking process because Parents went into the IEP meetings only willing to accept a home-based ABA program with related services that maximized Student’s ability, and were not willing to listen to any other offer made by the District. 23. IDEIA empowers courts (and Administrative Law Judges) to grant request for compensatory services as the court determines is appropriate. (Burlington Sch. Comm. v. Massachusetts Dept. of Educ. (1985) 471 U.S. 359.) Equitable considerations may be considered when fashioning relief for violations of the IDEA. (Florence County School Dist. Four v. Carter (1993) 510 U.S. 7, 16; Parents of Student W. v. Puyallup School Dist., No. 3 (9th Cir. 1994) 31 F.3d 1489, 1496.) Because Student did not prevail on any issues, Student is not entitled to any of the requested relief.